On this particularly gloomy day, I thought it best to rock some cool tones. This velveteen blazer is one of my favorite thrift store finds ever, because I love the deep violet color and plush fabric. And it fits me like a glove. 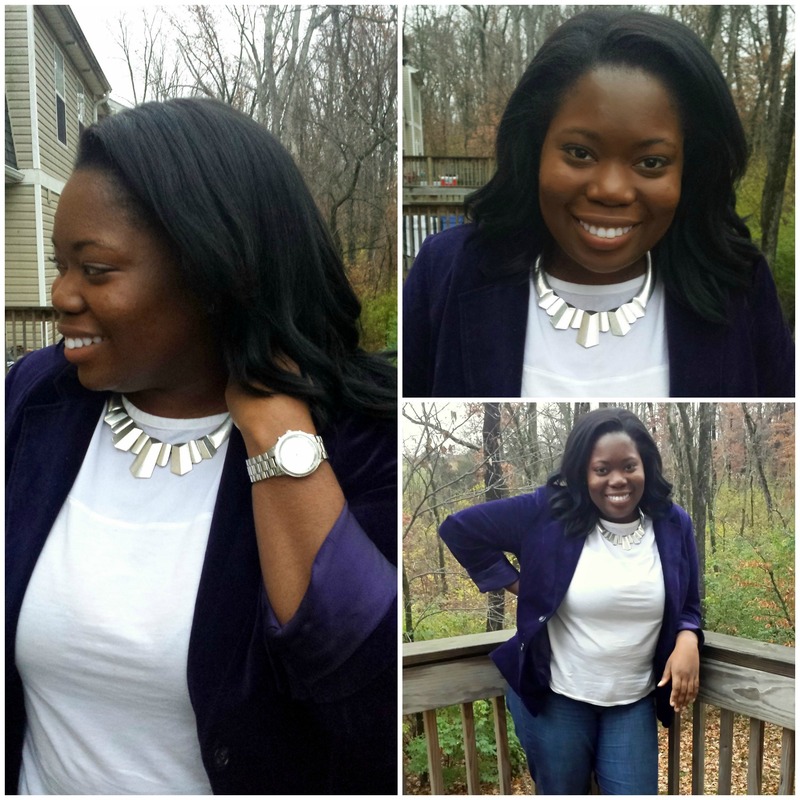 I layered the blazer over a simple white shirt from Target, with knit paneling at the collar. The dark jeans are from Old Navy. For jewelry, I opted for my favorite silver necklace (H&M) and a simple silver watch (Nordstrom).